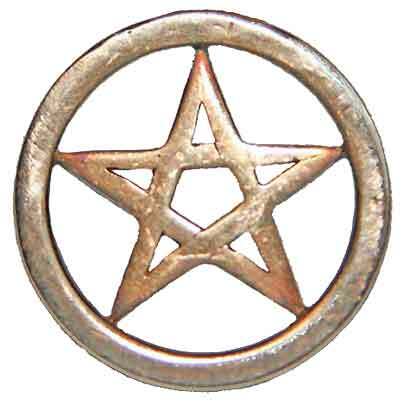 A pentagram is a five pointed star and means “five line” or “five lines” which stems from the Greek word pentagrammos. The pentagram was used extensively in Greece and Babylonia. 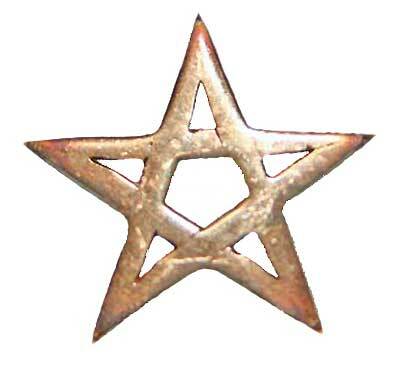 To the Greeks and Babylonians, the pentagram stood for magical energies and associations. Those who wore a pentagram or showed a pentagram adorned on their clothing would show off without fear their practice of witchcraft freely. By the mid-19th century a further distinction had developed amongst occultists regarding the pentagram’s orientation. With a single point upwards it depicted spirit presiding over the four elements of matter, and was essentially “good”. The outer circle of the “circumscribed” pentagram is sometimes interpreted as binding the elements together or bringing them into united harmony with each other. The Neopagan pentagram is generally displayed with one point up, mostly because of the “inverted” goat’s head pentagram’s association with Satanism; however, within traditional forms of Wicca a pentagram with two points up is associated with the Second Degree Initiation and in this context has no relation to Satanism. The most famous historical pentacle is the Seal of Solomon. Solomon was historically linked to being one of the greatest wizards that ever lived. He is often revered by wiccans and pagans and in grimoires and various texts, there are different styles and designs of Solomon’s pentacles. Each of them that he had crafted were used for various difference rituals and spells that he would perform. Even though pentacle and pentagram are similar in spelling, pentacle does not represent “five” rather, it represents magical energies and any design or shapes could be considered pentacles. If they were drawn with five points they were often referred to as hexagrams, not pentagrams. It is often said that once a spirit has been summoned, they are “tied” to the pentacle’s center often like a statue being held by a base, the spirit is tied to the center of the pentacle and cannot leave or move beyond that point. This entry was posted in Beliefs and Practices and tagged blogging, earth, harmony, occult, pagan, pentagram, psychic protection, rituals, wicca, witchcraft. Bookmark the permalink. ← How Not to Take Things Personally!